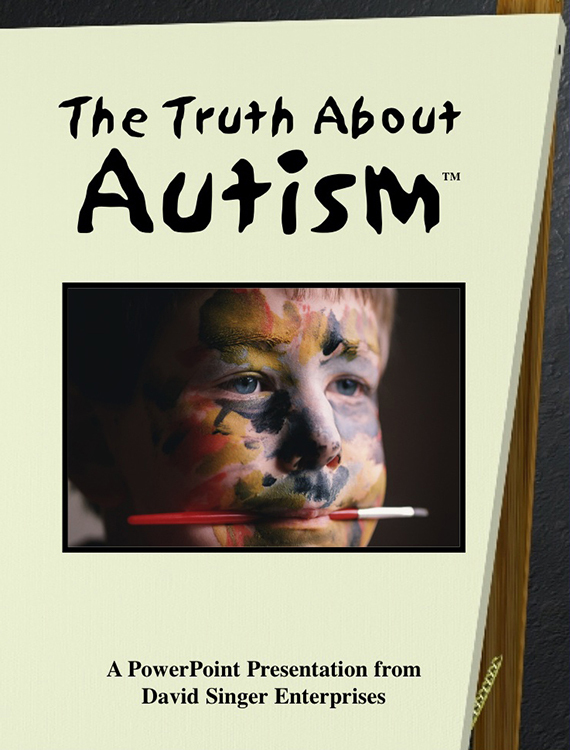 Autism is an epidemic affecting 1 in 150 children in the U.S.
What is it? Why does it happen? How can it be cured? The answers are found in this powerful PowerPoint presentation. Educate desperate parents of these unfortunate children on the dangers of vaccines and mercury poisoning. Give them hope for their child's future with methods to help remove the harmful toxic chemicals put into their bodies at the formative stages of their development. Give these children hope for a future free from drugs and psychiatric labels. We have the solutions, now tell the world! Works on both a PC & Mac! Along with the PowerPoint slide presentation, there is a QuickTime movie (with music) of the presentation, which allows you to play the QT movie on your computer in your waiting room, at screenings, at health fairs, at kiosks, on a website or any other place you want to attract new patients.